Perfect for a child of any age just learning their first words! Pro Edition allows for up to 30 users, collects and saves data! 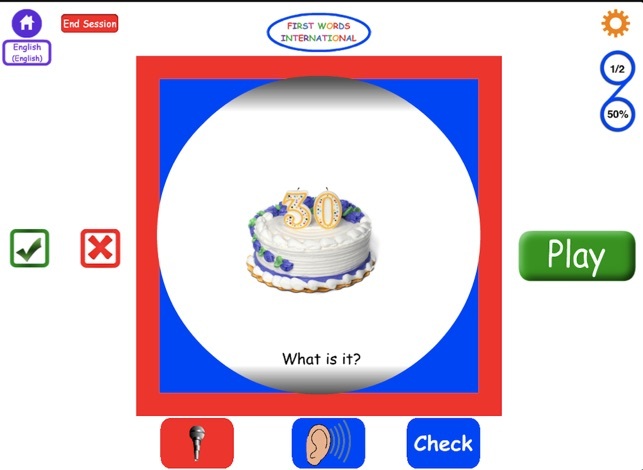 A perfect app for speech therapy, especially bilingual speech therapy! 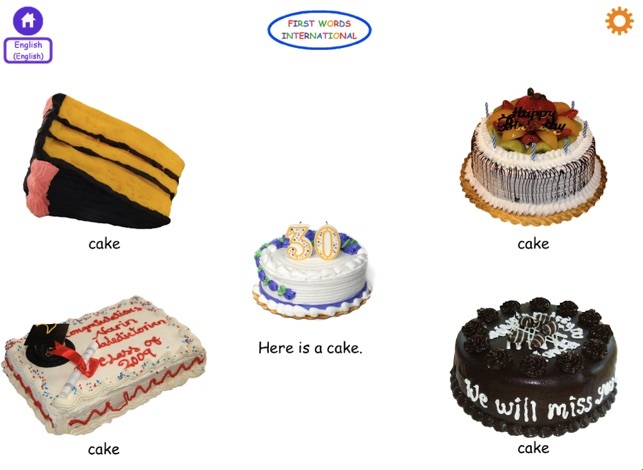 Help your child learn his first words! 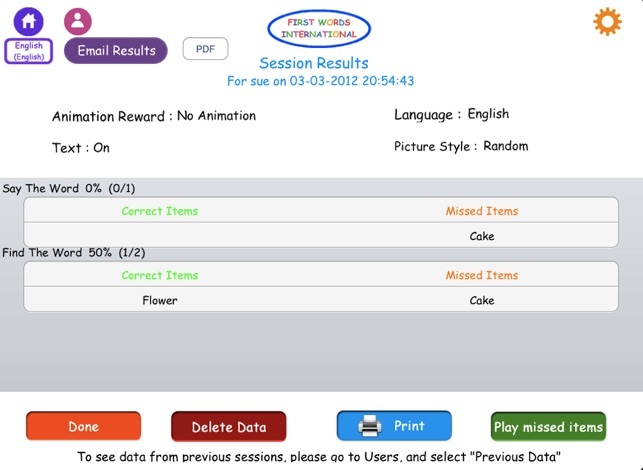 I love the Hamaguchi apps, as do most of my students (I'm a speech therapist). Having their apps on days when a child won't interact with me is a lifesaver (all kids love the iPad!). That said, I'm surprised this app came from a speech therapist. Choosing an object from a field of 5 is impossible for most of my students. Most of them are working on choosing an object from a field of 2 or 3. I desperately wish you could change the number of objects in the field!!!!!!! It would make this app so much more useful. Without this, it makes the app promising but hard to use as it is. That said, I've managed to use it with a could of kids and they enjoy it. I like how the app gives you choices between real pictures or cartoons. I work primarily with Spanish speaking children so I also love that the app comes in so many languages. If you could run an update on the Following Directions apps so they'd come in Spanish, I'd be your first customer! 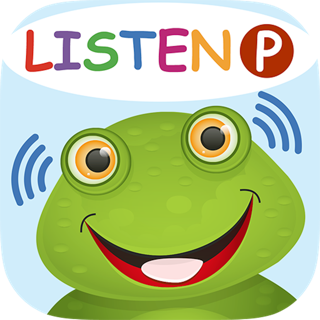 This app is a great tool for helping a child with both receptive and expressive language. 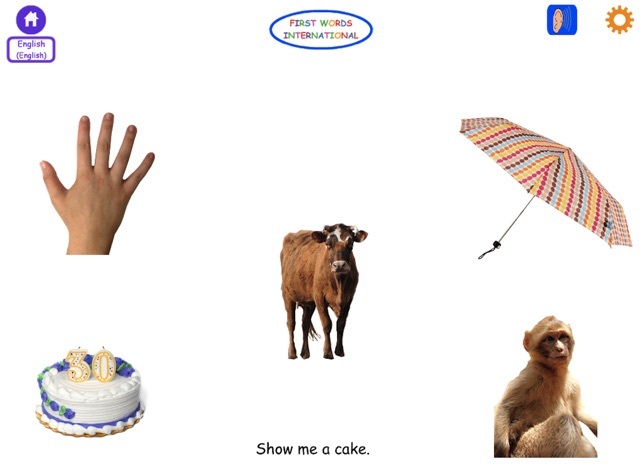 Wonderful reinforcements for learning for a child or person with apraxia. Great for my son with down syndrome and verbal apraxia. 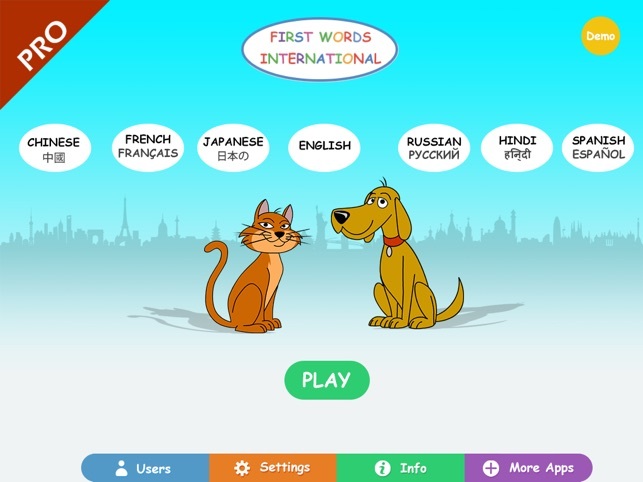 Even though I do not have a baby or toddler, I can see this being a great app for teaching new words. As for an older child, like a couple of mine. They can learn how to say words in a different language. As I said before great reinforcement. 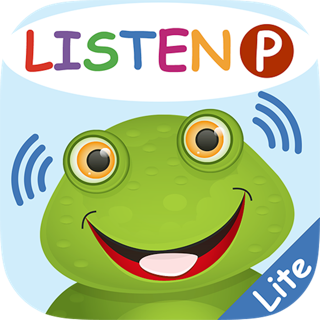 I got this app originally to help with my 2 year old's speech therapy but soon realized that it would be great for my 5 and 7 year olds as well who are learning spanish! I can set up three different users and have each of them working at thier own level. Thank you! © Copyright 2012 Hamaguchi Apps, a division of Hamaguchi & Associates Pediatric Speech-Language Pathologists, Inc. All Rights Reserved.